Bored with the same old joint? If so, Chris Stone’s book will soon have you lighting up in style. Showcasing thirty-five of the greatest joints of all time – from the Dutch Bud to the truly awesome Spaced Station – Spliffigami begins by showing how to roll a basic joint. With the help of step-by-step illustrations, the budding spliffigami master is then coached on to more elaborate reefers, and finally on to multi-pronged doobies. Every joint is rated for smoothness, potency, and ease of construction, and there are added features on smoking etiquette, trips and tricks, side effects, and a glossary of terms. 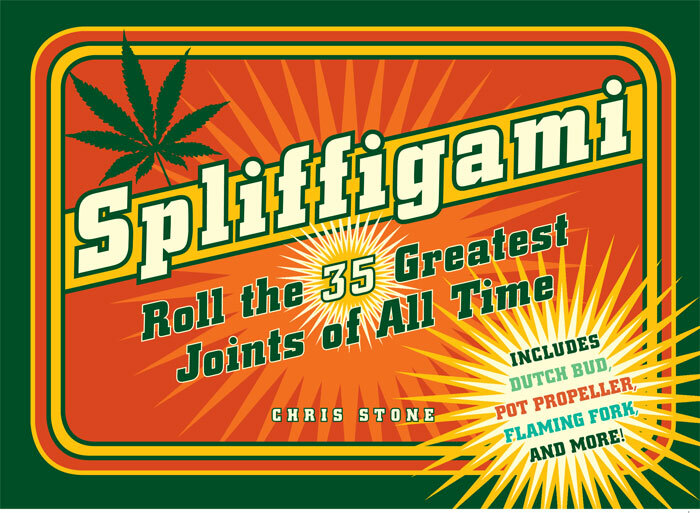 The perfect companion for all stoners seeking to perfect the art of spliffigami, this book will soon have every ganja girl and bud boy lighting up in style.